It feels as if the plague has hit my small town. School is out today and tomorrow leading to the weekend, allowing us a four-day buffer to kill off all these germs that are sidelining people left and right. The Naaktgeboren family is currently in quarantine. Days like today are a good reminder. When life seems to be going non-stop and I forget the importance of taking breaks, sickness swoops in or the weather sidelines plans. Sometimes we just need to slow down and let the world continue without us for a few minutes, an hour, a day, or even a long weekend. 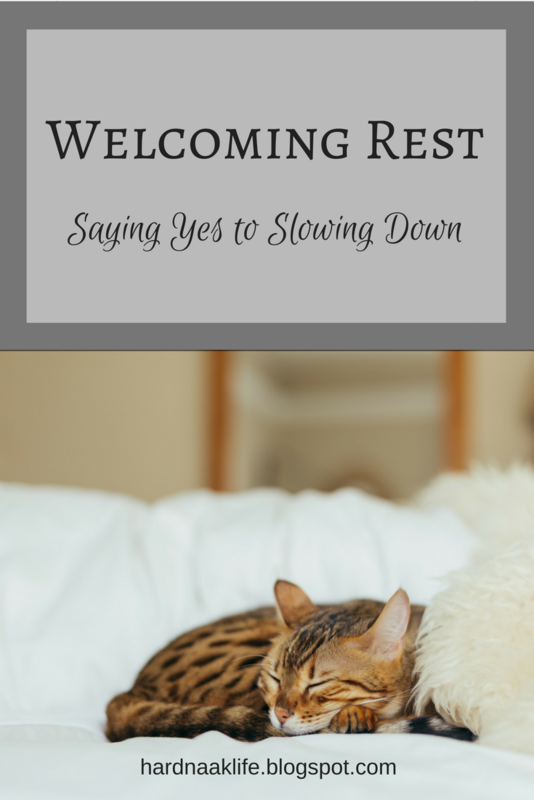 Life says hurry up, but there are a multitude of reasons to allow yourself to rest. Rest creates healthy minds and healthy bodies. Genesis 2:2-3 tells us that our perfect, wise God rested. He created all things, found that it was all good, and on the seventh day he rested. In Mark 6:30-31, Jesus encourages his hardworking disciples to get away and rest. And there’s a reason why God commanded his chosen people to observe the Sabbath. Hard work is balanced by rest. Rest is beneficial. We should welcome it. Resting sometimes means giving our brains a break from working too hard. I love to sit on the couch under a blanket and watch a movie or read a book. It’s nice to escape the present and dive into a different world for a while. Some people like to rest by doing things that bring them joy. I have friends who unwind by cooking a meal, baking some bread or sweets, crocheting, writing, or working in their garden. For me, watching a show while I fold laundry is actually relaxing. I’m technically doing a chore, but the way I’m doing it counts as resting. Double win. I have a people-focused job, and while I love it, sometimes I just need to be by myself. Reading a book or listening to one of my calmer playlists usually helps. If it’s been a particularly trying day I might take a very rare, but very coveted nap. This doesn’t happen often, but when it does, it is just what I need to feel refreshed. A few years ago, I made the decision to turn off the work email notifications that were constantly bombarding me from my phone. Every time it would ding, I could feel my stress levels rising. One of the best choices I have made is to keep work at work and not let it interrupt my life outside of school. Creating this separation has made my home life more peaceful and has allowed my home to be a better place of rest. For some people, turning off the world might mean taking a break from the news or social media. In recent months, the information coming from these sources has been saturated in negativity. Negativity is stressful, not restful. If you feel this stress, it may be time to take a sabbatical. Cuddling up on the couch is pretty relaxing. I love to sit between my two kiddos and share a bowl of popcorn while watching Netflix. Snuggling up with my husband and kids allows me to slow down and enjoy my rest. It makes rest time even sweeter. Make rest a habit. Don’t wait until you are overwhelmed or stressed out. Don’t wait until you are sick, tired, or sick and tired. Set boundaries in life between work and rest and stick to them. Really enjoy and savor your time of rest and relaxation and hopefully you will find yourself healthier and happier. Welcome rest in your life. It doesn’t matter what form it takes for you, as long as you make it a priority. Step away from busy and choose rest. What are you doing to be restful? I love coffee. No wait, I adore coffee. Is there a stronger word than adore? If there is, then that is how I feel about coffee. Sometimes though, especially when I am fighting sickness, I’ll switch it up a bit and put a kettle on the stove for tea. This morning was made for tea. The smell of this brewing dark drink touches my senses and triggers sweet memories. I love that God wired us to have scent memory. Smells can transport us to another time and place and allow us to feel connected to people, places, and events. This blend, with its sweet, spicy aroma and a hint of citrus, always takes me back. Maybe that’s why this tea has a home in my cabinet. It makes sure those memories always have a home in my heart. Saturday mornings we would gather at Amy’s house and squeeze around the table in her breakfast nook. I still drink my tea the way I did back then. Honey with a splash of cream. We would sip our hot drinks while savoring warm cinnamon rolls from the oven. Each of us would share our hearts over open bibles, pens and journals, and a Beth Moore study. All of us young, all of us college-aged, being mentored and loved on by an older, sophisticated, Godly woman. I loved this time together, but the beautiful thing about this friendship was that it extended beyond Saturday mornings. Amy knew I was a broke, college kid working to pay my own bills while also juggling school and ministry. As I prepared for my trip to Young Life camp in Colorado, she made an unexpected visit to my apartment. When she left, I discovered cash on my dresser, her way of making sure I could afford to eat and maybe buy a t-shirt in the camp store. Ephesians 2:10 is forever imprinted in my mind and in my life. 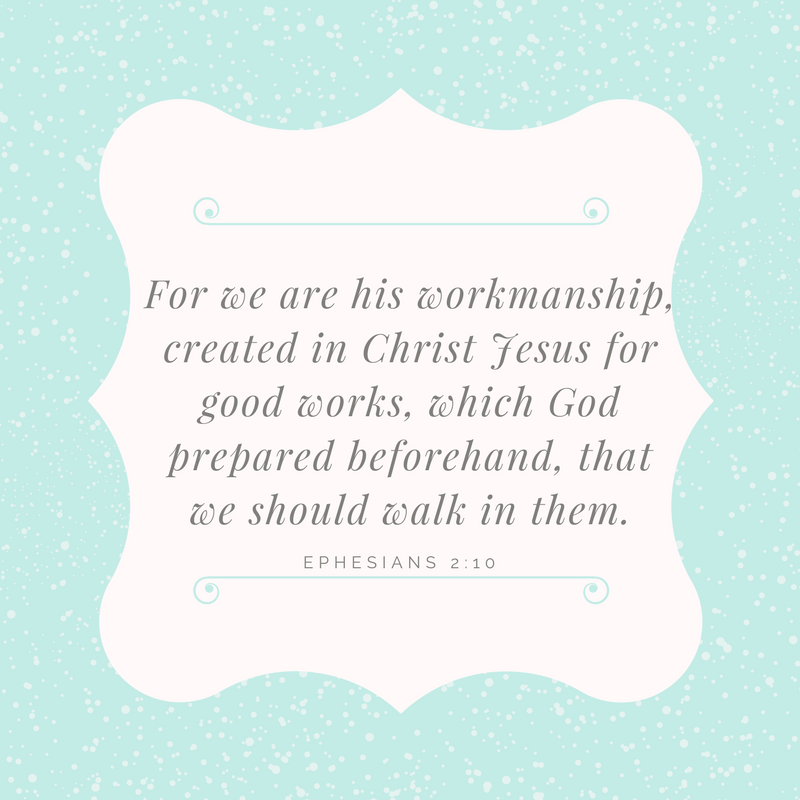 While serving others, she encouraged us to remember that we are his workmanship, created in Christ Jesus for good works, which God prepared beforehand, that we should walk in them. As a young bride, clueless about my own wedding day, Amy helped me navigate wedding planning and even volunteered to coordinate the day. Other memories involve trips to Walmart for matching hats, scarves, and gloves, traveling to a Bebo Norman concert held in a little coffee shop in Knoxville, and dinner parties at her house. 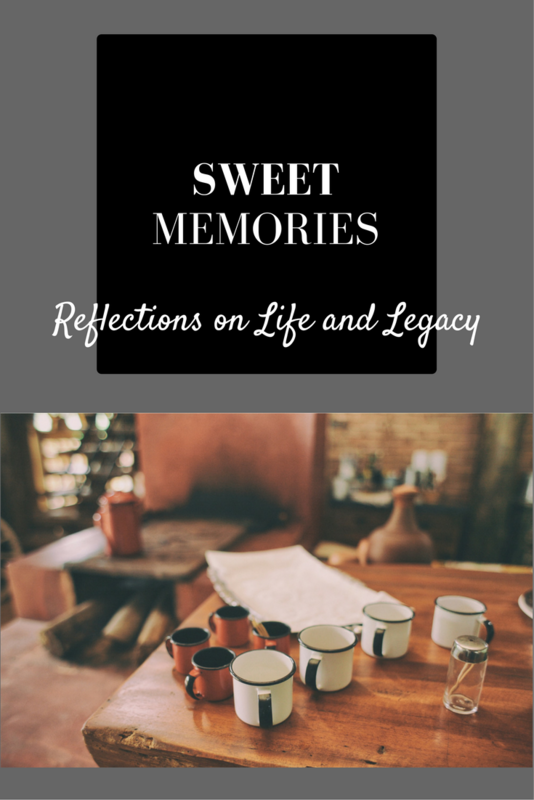 I share some of these memories with the other ladies in my group, and I know they all have individual memories special to them. Beyond all these things is the fact that Amy cared about us. Really cared. She loved us in our high moments and she loved us through bad decisions and choices. God knew how much I needed her at that point in my life. God knew I needed someone to guide me through my mistakes and challenges. God knew I needed someone to be honest with me about my sin, but to also pray me through it. Not long after I moved with Jonathan to Sparta, I received a phone call from our friend Chad. Amy had suddenly passed away. I have always trusted that God is good. I have always trusted that God is sovereign. But, death still stings. I prayed and struggled with what to do. How do you honor someone who has made such an impact on you? How do you celebrate their life? 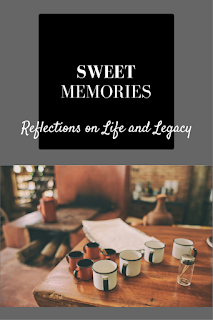 For me it has been to live my life in a way that passes on her legacy. I want to keep leading bible study with college-aged, young women. I want my new home to be a place of openness, comfort, and hospitality where everyone feels welcome. I want to live in such a way that others see Christ through me. As I take my last sip of tea, I realize that Amy has crossed my mind a lot lately. A reminder of love and a reminder of legacy. 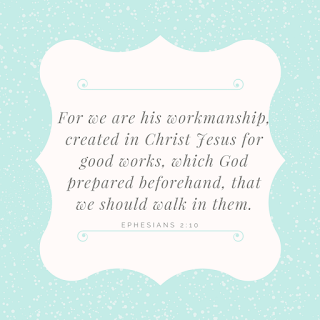 A reminder to be His workmanship and walk in good works, just as she did.